There are many advantages of having your own domain name, ranging from improving your credibility to boosting your SEO. 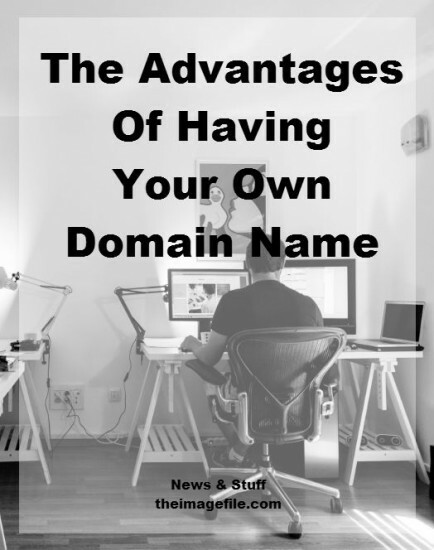 Here are just a few reasons why you should definitely get your own personalised domain name. Let’s go! A personalised domain name really improves your business credibility. Even though your credibility isn’t only based on your domain name, it is one of the first things your customers will judge your business by. Would you trust a business with the domain name ‘www.123456.maryjones-randomwebsite.co.uk’, as much as a business with the domain name ‘www.maryjonesportraits.co.uk’? I didn’t think so. It’s really important to build a consistent brand. After all, a consistent brand builds trust and recognition with your customer base. One way of building a consistent brand is with your business name. If your business was called Mary Jones Portraits, your brand would look more consistent (and professional) having the domain name ‘www.maryjonesportraits.co.uk’ and social media names like ‘@maryjonesportraits’. Equally having a consistent brand name means that customers build up recognition with your business, and therefore build more of a relationship with you. An email address that is related to your business makes you look more professional and credible. Doesn’t ‘hello@maryjonesportraits.co.uk’ sound professional and classy? Having your own domain name will increase your website’s ranking within the top search results on popular search engines such as Google. If you haven’t got your own domain name yet, now is the time. There are many places you can purchase a personalised domain name, you can even buy one through DS Domains right here! Preparing Your Business For Father’s Day Mother’s Day Page Sets 2017! Christmas Page Sets 2017! Why Use DS Domains?